Today we're excited to announce Chatter, a unified social experience inside of Notejoy. 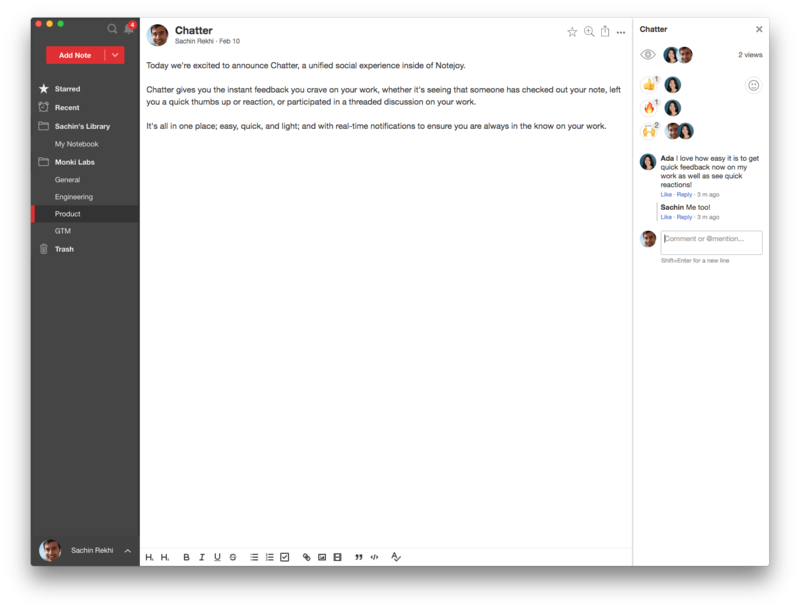 Chatter gives you the instant feedback you crave on your work, whether it's seeing that someone has checked out your note, left you a quick thumbs up or reaction, or participated in a threaded discussion on your work. It's all in one place; easy, quick, and light; and with real-time notifications to ensure you are always in the know on your work.